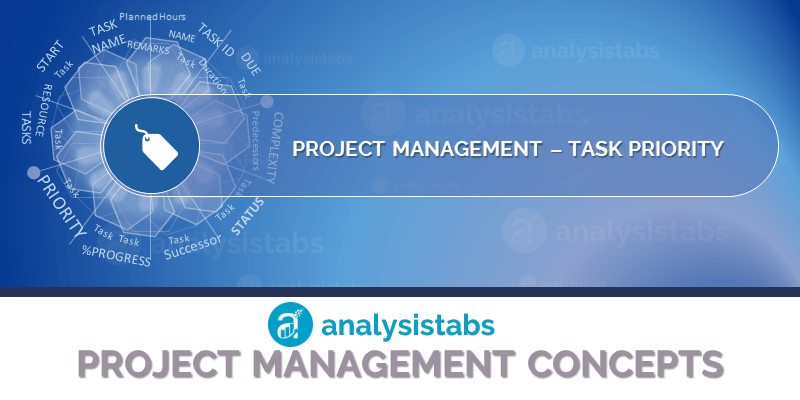 Task Priority Field in Project Plan Template - ANALYSISTABS - Innovating Awesome Tools for Data Analysis! Priority of a Task is used to identify the important tasks and complete it first. Tasks with high priority will be completed first. Priority of a Task is a required field and it is a string data type Field. Combo box is used to add list of Priority Levels (Low, Medium, High, etc.) and Select one item. Here are few more characters of the Priority of a Task in the Project Plan Templates. Tasks with High Priority are more important or complex tasks which needs to be completed first. Tasks with Low Priority are not that important or complex tasks which can be completed later. Tasks with Medium Priority are important or complex tasks which are not that urgent.